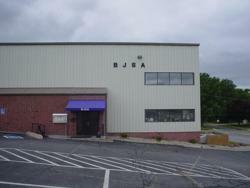 BJSA recognized the need for and opened a youth-oriented community center in July 1990. BJSA currently sponsors flag and tackle football, cheerleading, wrestling, basketball, baseball and volleyball. BJSA is a 501(c)(3) non-profit organization that exists solely to foster and promote youth sports. BJSA offers various sports camps during the summer months. Camps include: golf, basketball, volleyball and football. Registration for summer camps begins in mid-May. For many years BJSA has worked in conjunction with the Sarpy County Court Referred Community Service Program by accepting referrals to perform community service work through our organization. BJSA ventured into this program based on the knowledge that it becomes a joint partnership for all involved and knows that the individual as well as the community will benefit from the efforts. BJSA continues to remain involved with this program to hopefully touch a few minds and hearts. A fundraiser is planned during each competitive sport season. Their primary purpose is to maintain each program on a break-even basis, and to help defray the cost of equipment and facilities that are being utilized for any special events within these programs. Funds are also allocated for expenses incurred to operate and maintain the BJSA facility. Tournament, craft shows, candy sales, fireworks and concessions are accepted means of raising money. Individual and corporate donations and sponsorship are also solicited. Four college merit scholarship awards are given on an annual basis to local high school graduating seniors. The outstanding recipients, who return to assist in our programs and who have also been excellent role models, are considered for an extension beyond the two year award.